A personalised first birthday card suitable for girls and boys. 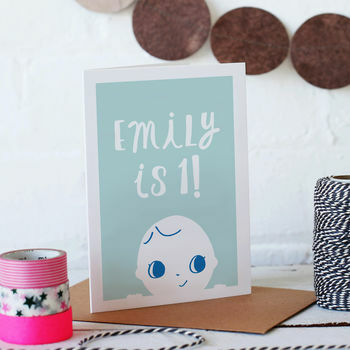 Made just for you, these cute cards in blue, pink or turquoise are unique just like the recipient! 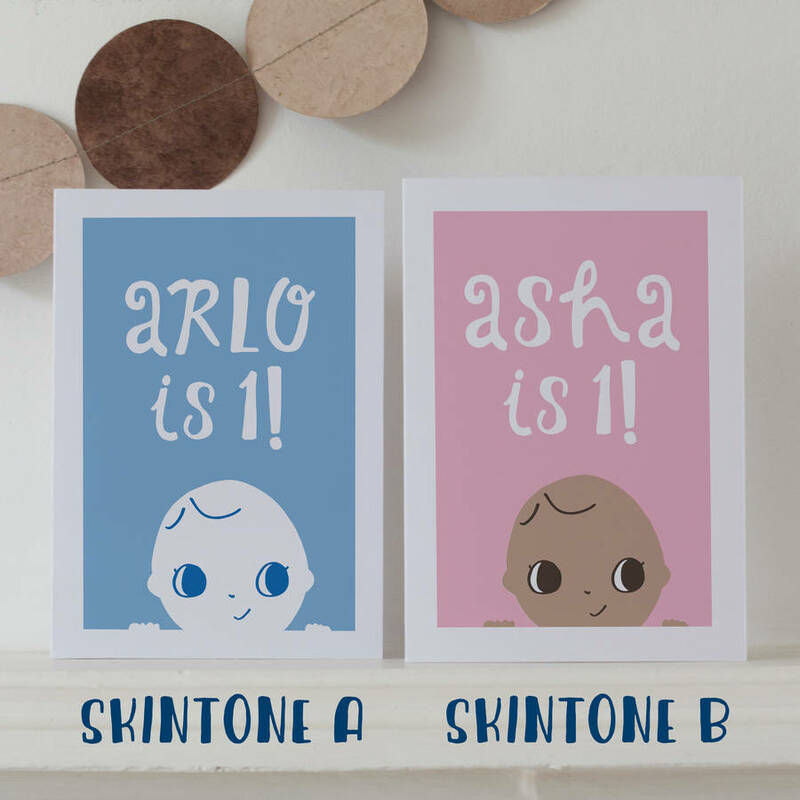 These fun personalised cards are sure to stand out and go perfectly with our range of kids prints. 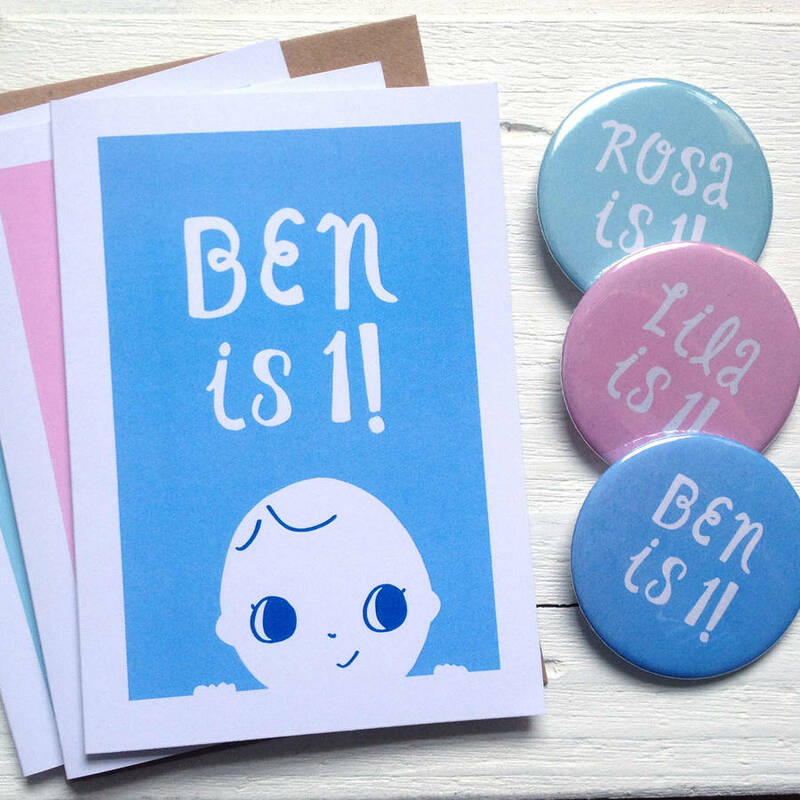 You can also add a matching badge with a safety clip suitable for little ones! It comes with a smart Flecked Kraft recycled envelope or a white envelope in a cellophane sleeve. Available with a blue, pink or turquoise background. Add the name of the child. Digitally printed on quality 240 gsm card with a choice of a recycled Kraft envelope or a white envelope. 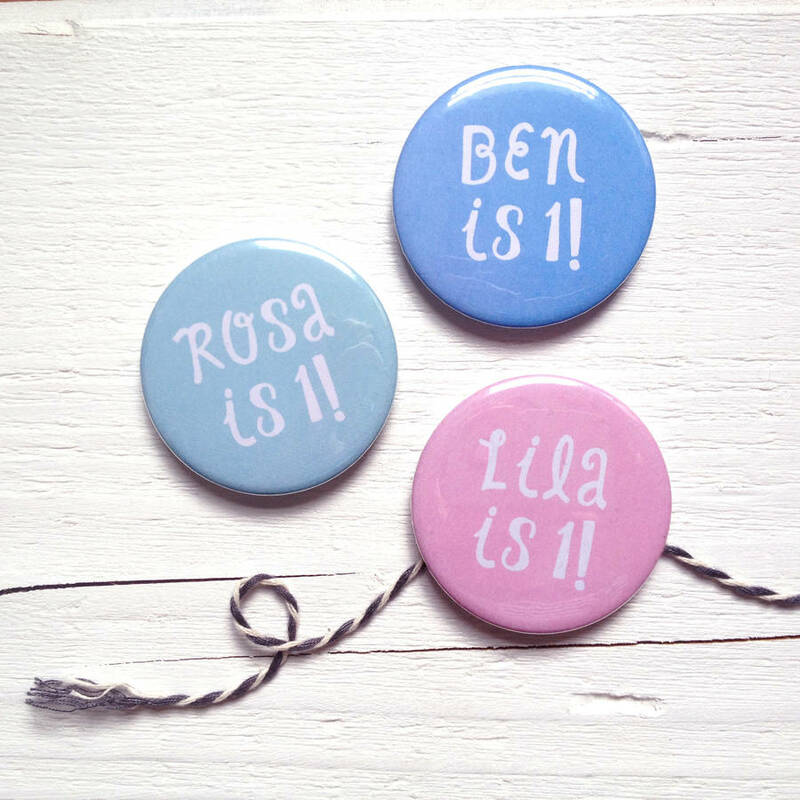 Badges are 58mm and come with a safety clip (no pin) suitable for preschoolers.